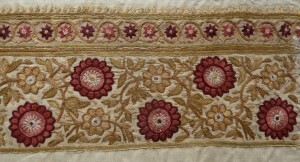 Thomas Wardle was an expert on the wild silks of India, particularly tussur. 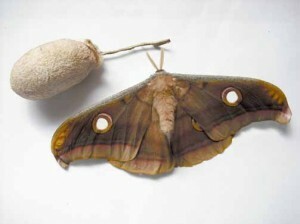 Tussur is the product of a large silk moth from India. Although there was an abundant supply, the naturally fawn coloured yarn was resistant to dyestuffs and had limited commercial use until Thomas Wardle overcame its long-standing problems. Wardle was a dye chemist who used science to research the yarn’s properties and overcome its resistance to dyes. He was then able to produced lasting, rich colours using traditional dye recipes. The early results drew the attention of the Secretary of State for India, who wished to develop the yarn in India using local dyes. 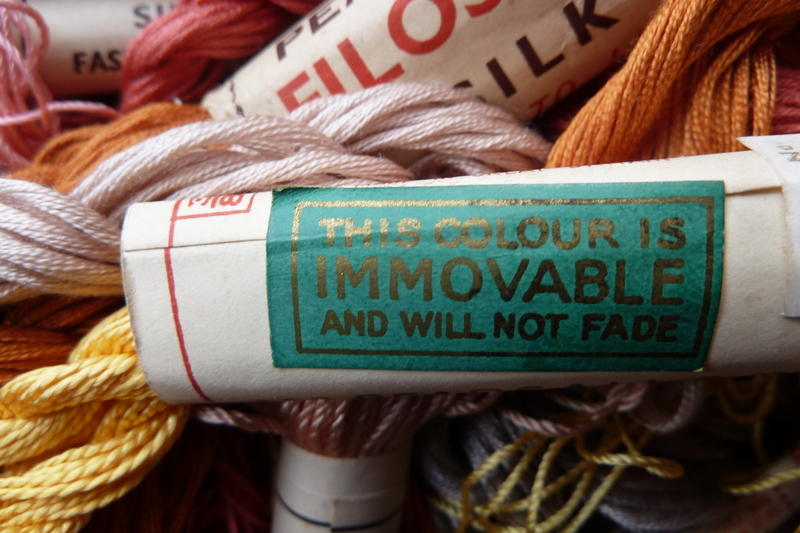 After five years of further research into Indian dyestuffs, Wardle was the first to produce a range of tussur yarns dyed with permanent, unfading jewel colours. In 1878, at the Paris International Exposition, tussur silk samples were displayed by Wardle; they included block-printed tussur for Liberty & Co., tussur cloth printed with patterns by William Morris, yarns dyed with rich subtle colours and a range of Indian dye stuffs. Over a ten year period, Wardle produced 3,500 cloth samples dyed with 181 types of dyestuffs, commonly used in India, to form a 15 volume publication. 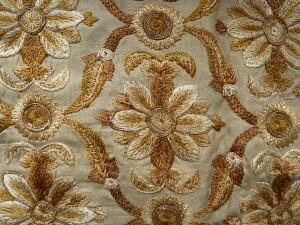 ‘Sealcloth’ was a new product from tussur silk waste; it was spun into a fine thread and woven onto cotton backing. It was a huge success as a soft, water-resistant cloth used for outdoor clothing and furnishings. 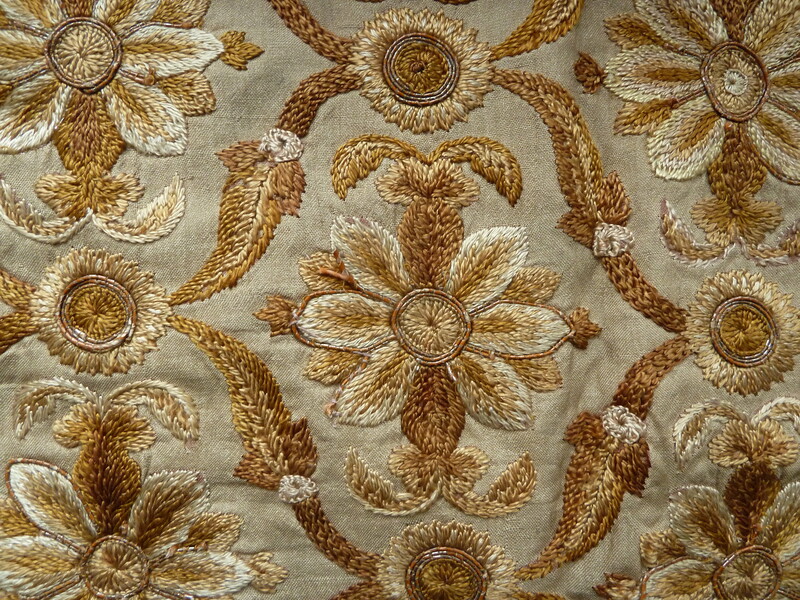 Wardle’s wife, Elizabeth, founder of the Leek Embroidery Society, perfected a stitching technique that maximised the play of light on tussur yarn. 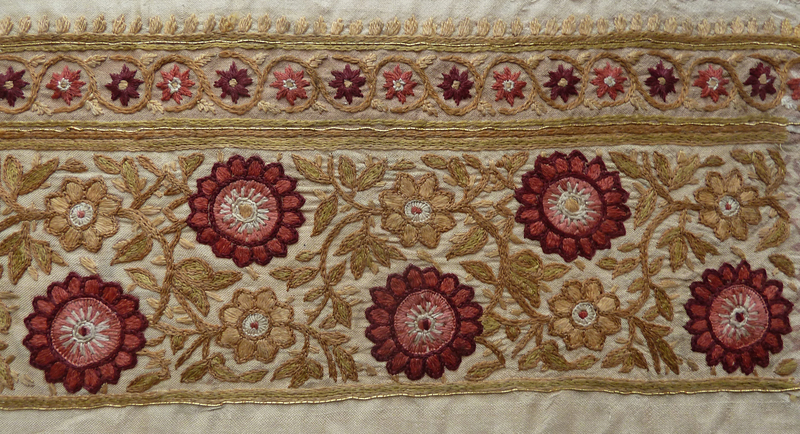 Colours were reflected in scintillation which gave the effect of a soft lustre, very appealing effect for domestic and ecclesiastical needlework. Thereafter, demand for India’s silk yarns grew and exports to Britain and Europe became a big business for India’s producers.